The Liberals committed $89.9 million for building or renovating shelters. 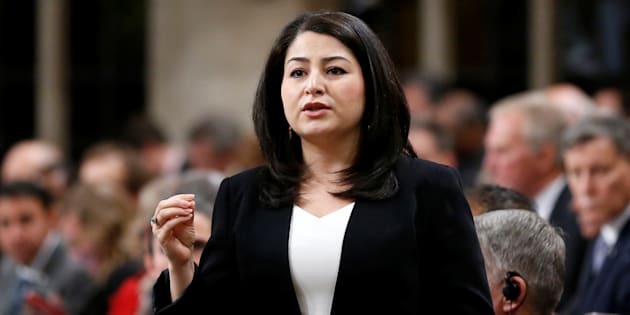 Minister for the Status of Women Maryam Monsef speaks in the House of Commons on Parliament Hill in Ottawa on Nov. 30, 2016. OTTAWA — Canada's Far North is getting the short end of the stick on a major federal investment aimed at reducing gender-based violence, advocates say, because the money is being meted out based on the size of a region's population, rather than need. "When I go to meetings with shelters in southern Canada, I am hearing about all these shelters being built (or repaired) with the renovation money and I'm thinking, 'Holy cow! What happened to the North?'" said Lyda Fuller, executive director of the YWCA Yellowknife. The Liberal government committed $89.9 million over two years in the 2016 budget for building or renovating shelters and transition houses for people escaping family violence. The investment was also highlighted in the recently launched federal gender-based violence strategy. The Canada Mortgage and Housing Corp. (CMHC), through which the money flowed, split the money up among the provinces and territories, which were not required to match the funds in order to get things rolling. But the money was divvied up according to the usual per-capita funding model, which means each share of the pie was determined according to the number of people who live there. Ontario — home to about 14 million people — got about $28 million over the two-year period. Meanwhile, each of the three territories, which have a total population of about 120,000, received just under $500,000 over two years. Lise Martin, executive director of Women's Shelters Canada, said the money was welcome, but the relatively small sums provided to the territories would make it difficult to build any new shelters there, never mind come up with the extra money to maintain them. "It's more than needed, but it's not going to have a huge impact on capacity in terms of creating new spaces," she said. 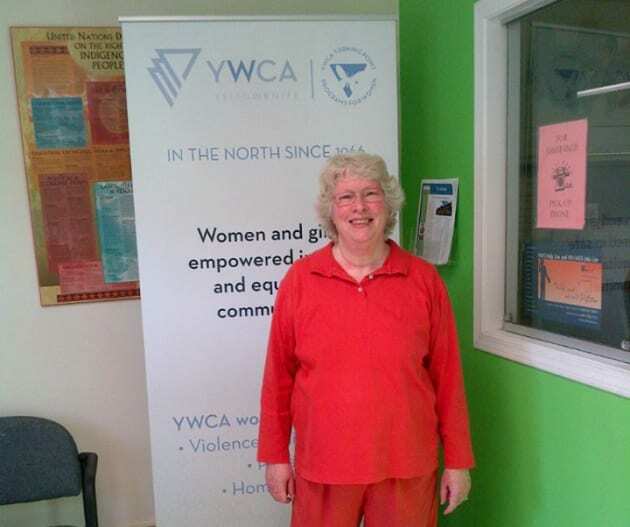 Executive director of YWCA Yellowknife, Lyda Fuller, is shown in a Facebook photo. Martin has been among those calling for a national action plan on gender-based violence, which would go farther than the federal strategy by ensuring equal access to comparable services, no matter where someone lives. Mathieu Filion, a spokesman for Social Development Minister Jean-Yves Duclos, suggested these issues could be addressed by the national housing strategy later this year. "The national housing strategy will ensure that more Canadians, including survivors of family violence, have access to housing that meets their needs and that they can afford," Filion said in an email. The northern territories have the highest rates of family violence in the country. According to Statistics Canada, there was an average of 241 incidents of police-reported family violence in Canada per 100,000 people in 2015. Nunavut had the highest rate, with 2,504 per 100,000 people, followed by the Northwest Territories at 1,938 and Yukon at 731. Ontario, at 150, had the lowest rate that year. Jonathan Rotondo, a spokesman for the CMHC, said that as of March 31, the $60 million set aside for the first year of the investment had been used to create 325 new units or beds in shelters and transition houses across the entire country. There were repairs or renovations impacting another 4,006 spaces. The Northwest Territories Housing Corp. said its share of the money for fiscal 2016-17 amounted to $315,789, which the territorial government used to make "urgent repairs and renovations" to four of the five shelters in the territory. Another $157,368 has been committed for this year. That included renovations to reconfigure a surplus unit the territorial housing authority donated to one of the shelters after it realized the existing building was essentially beyond repair and would not last much longer. The YWCA Yellowknife also operates the shelter in Fort Smith, N.W.T. ; Fuller, who has been trying to make it wheelchair-accessible, said the territorial housing authority chose to spend the money on basic improvements like replacing the oil tank. "We tore out the 35-year-old carpeting!" she said with a laugh. "No new beds." The Nunavut Housing Corp. said it spent about $395,000 on repairs and improvements at two shelters in the territory, and will save the remaining $78,000 for emergencies and additional work. The Yukon Housing Corp., meanwhile, decided to put its $473,166 into a program that allows non-government organizations to apply for grants. Tim Sellars, the director of policy and communications, said $170,000 has gone out so far. Barbara McInerney, executive director of the Yukon Women's Transition Home Society in Whitehorse, said things are so tight that she cannot even manage to prepare a proposal to apply for badly needed funding. "So much of the time we are fighting for survival to keep the day-to-day running, that it's very difficult for us to see past that and look at painting our building or whatever," said McInerney. "You're operating a 24-hour facility, you're on call 24-7, you're trying to support staff in a very difficult job, and you're going to take on a construction fight?"